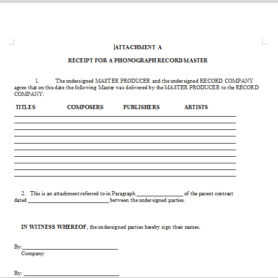 Description: This Sub-Publishing Agreement allows a subpublisher to exclusively act on a publisher’s behalf in certain territories. 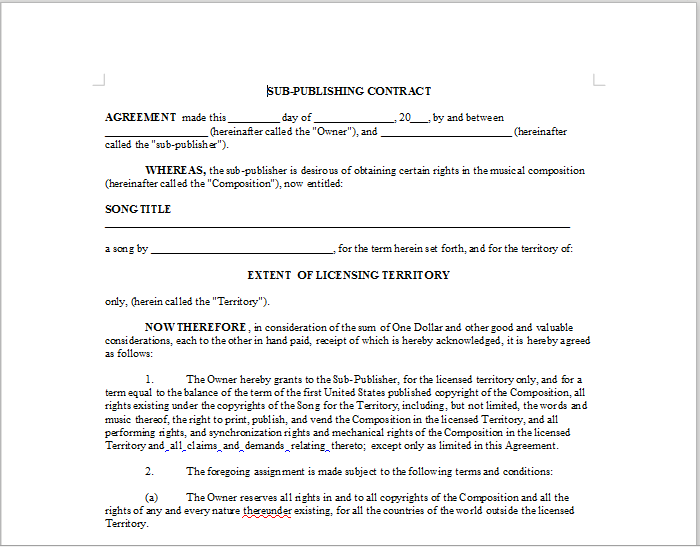 Working with a subpublisher will allow the publisher to collect its fair share of royalties in various territories. 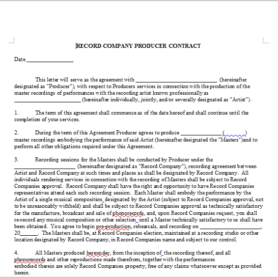 This Agreement can be customized to specify the territory covered, the royalty rates, copyright notices, and the length of the agreement. 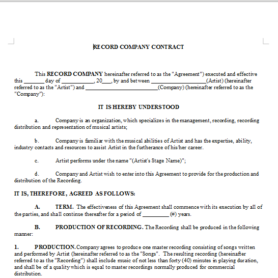 This Agreement can be used by small businesses or other entities that operate as publishers and want to obtain or grant publishing rights.